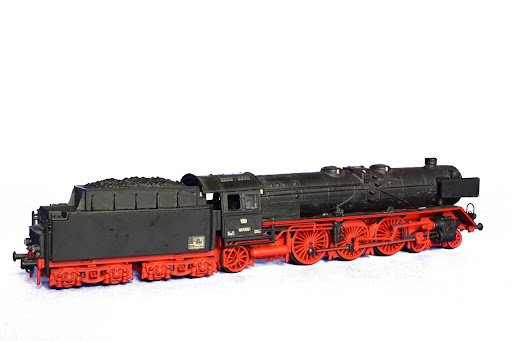 Not very long ago a friend from Germany who is into railroad modeling was kind enough to send me some of his static European steam locomotives that he did not need in his collection anymore because these days he only collects American models. One of the most beautiful H0 (1:87) scale static models in the package was Revell's item no. 2164, the Baureihe 01 express locomotive with ID 01 150. 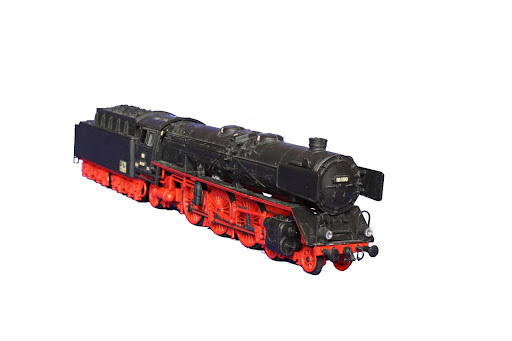 It is a very old Revell steam locomotive, manufactured back in 1983. 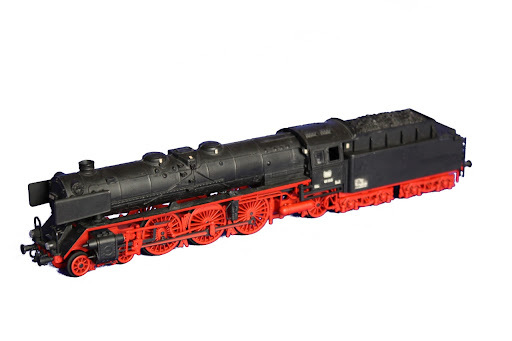 The more recent equivalent Revell item is 02172, which is the same BR 01 express steam locomotive. 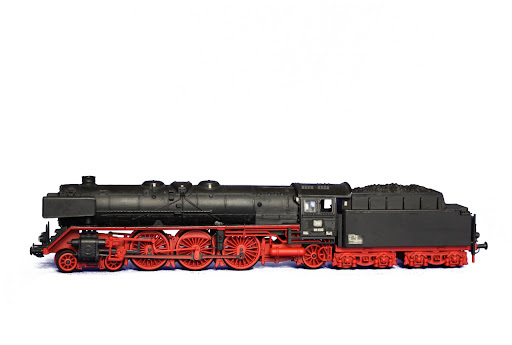 The DRG BR 01 was the first standardized steam locomotive built after the unification of the German railay system. 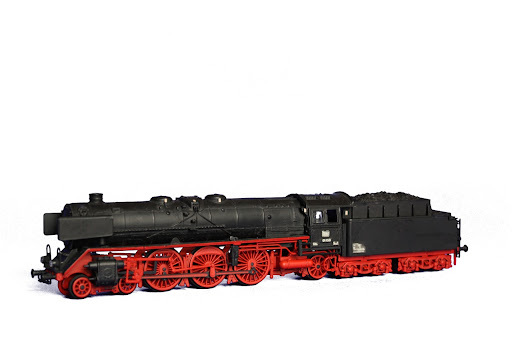 A total of 231 such locos were built between 1926 and 1938 by important steam locomotive builders, such as Henschel & Sohn, Hohenzollern, Krupp and BMAG in five batches, each with minor upgrades: 01 001–010 (1926), 01 112–076 (1927–28), 01 077–101 (1930–31), 01 102–190 (1934–1936), 01 191–232 (1937–1938). 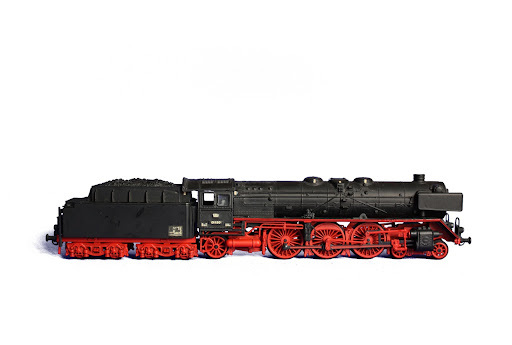 They were destined to pull express passenger trains and their wheel arrangement was the Pacific type (4-6-2). The original top speed of the BR 01 locos was 120 km/h, but it was increased to 130 km/h beginning from BR 01 102. BR 01 150 was built as part of the fourth batch, with Witte smoke deflectors. 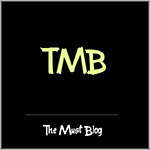 Today it is a DB museum piece. In 2005 it was severely damaged by a fire at Nuremberg and is awaiting its restoration.